Use your fingers or a spoon to press into the center of the bread to create a small indentation. Crack an egg into each of the hollows in the bread. Spread butter on the raised sides of the bread and cover with grated cheese. 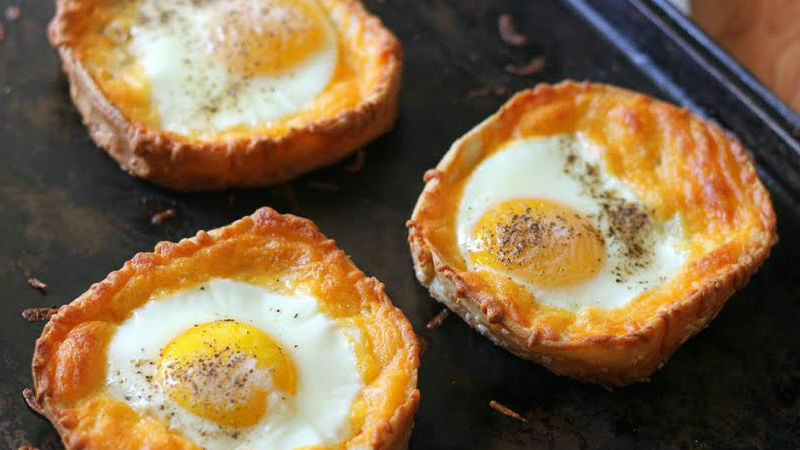 Bake each tostada for 15 minutes approximately or until the eggs look done. You can add pieces of bacon or ham for a different version of these tostadas. Breakfast is the most important meal of the day and that’s why I always try to change up the menu. Our meals always have a serving of protein, fruit, a little cheese, and we’re ready to start the day . These tostadas with egg and cheese are very satisfying and there’s no need to add a lot more. Maybe a side of fruit would complement them well and then we would have a delicious power breakfast. You’ll want to make this recipe over and over again.